Sometimes, we need to convert color images to black and white ones. Examples include black and white fax machines and photocopiers, both of which require conversion of color images to black and white ones. For this purpose, there are several approaches such as binarization and dithering, each of which includes several variations. The former includes Japanese invented Otsu’s method for automatic thresholding and the simplest fixed thresholding method. To make it possible for readers to understand, all the program examples in this paper are accompanied with English comments so that readers not only can comprehend, but can also read the codes with ease. If you have these development tools, you can open the attached source codes. Whether you choose to compile or interpret them, you can run single-step debugging to check the computational process of the algorithm step by step. Or, you can set up breakpoints in the parts which are important or you do not understand so that the program will stop and wait until you have checked the saved values for all the variables. The most important thing is to become familiar with this binarization algorithm because it is a simpler algorithm among digital image processing techniques and does not contain any abstruse mathematic formulas. It requires only setting up thresholds and then comparing sizes to determine black or white. The key point is how to process pixels and calculate indices of pixels. // The index of pixel, because we use the three depth bit to present one pixel of color. // Therefore, we have to multiple three. // To get the pixel depth of the blue channel. // To get the pixel depth of the green channel. // To get the pixel depth of the red channel. // To transform RGB to Y (gray scale). // Set our thresholds, To decide which pixel become to white. // Otherwise, those pixels will be black. // If you got a file of the picture, you are able to load it. // Enable an automatic stretch. // Loads a picture file. // Set a point to the picture of loading. // Create a new TBitmap object to keep original picture. // To keep original picture. // Set up TImage object to keep original picture. // If you open picture file successful and then set a flag. // The means that you have been opened a file. // Set the threshold is 100. // Set the position of the scroll bar is 100. // If you have not opened a file, the flag will be zero, and then returns. // To get a counter of binarization from the scroll bar. // Set up the TImage restore to the original picture. // To get a current bitmap. // To do scan line of the whole picture. // Set Y position of the image point. // To do scan X-axis of the line. // if the pixel more than the threshold, it should be white. // Otherwise, it should be black. // Release the temporal bitmap. // Set result of binarization of the picture. // This is a file name string. // This is a bitmap object. // Establish a open file dialog. // Set a filter to arrange picture format. // Set the title of the open file dialog. // if open file is successful. // Get the open file name to current file name variable. // Establish a bitmap from file through by Image object. // If we get a exception. // Pop to a message. // if it is to open file successful. // Draw the picture in the position that we set up. // Establish a color object. // Get the pixel from bitmap object. // This is our threshold, you can change it and to try what are different. // Set the pixel into the bitmap object.
} // The closing 'The height of the image'.
} // The closing 'The width of the image'. // Set every third value to 255. A 24bpp bitmap will binarization. // If the gray value more than threshold and then set a white pixel.
' Establish a open file dialog.
' The initial directory displayed by the file dialog box. The default is an empty string ("").
' The file filtering options available in the dialog box. "*.tif; *.ico; *.dxf; *.cgm; *.cdr; *.wmf; *.eps; *.emf"
' A value containing the index of the filter currently selected in the file dialog box.
' The default value is 1.
' the directory while searching for files; otherwise, false. The default value is false.
' If the open file is successful.
' Set the file name into current file name.
' Make sure the file is not empty.
' Establish a bitmap from file through by Image object.
' Establish a bitmap object from the loaded image of bitmap object.
' If we have a problem, throw a exception and pop up a message.
' if it is to open file successful.
' Draw the picture in the position that we set up.
' The height of the image.
' The width of the image.
' Get the pixel from current bitmap object.
' This is a gray variable.
' This is our threshold, you can change it.
' The closing 'The width of the image'.
' The closing 'The height of the image'.
' The variable is RGB, respectively.
' Set up the scale mode is pixel.
' Enable the picture box autometic redraw.
' This is our threshold, if it over 120, it should be white.
' Otherwise, it should be black.
' Set the monochromatic pixel. // Remember new default directory. // Establish a full path. // Establish an image object from BufferedImage. // Read an image from the file. // Show a processed image. // We have a problem and then throw an exception. // This function is to convert RGB image binarization. // Get the width of the image. // Get the height of the image. // Establish a 2D array to keep image data. // Acqurie integer type of RGB value. // Get the alpha of the alpha channel. // Get blue pixel of the blue channel. // Get green pixel of the green channel. // Get red pixel of the red channel. // Transform RGB color space to gray scale. // This is our threshold, you can change it. // This is white pixel. // Set the white pixel into the image. // Set the black pixel into the image. // The string variable is a file name. // if it is no file name and pop up a message. // Otherwise, There is a file name. // Establish a TBitmap object. // Assign the Image object. // Set pixel format is 24 bits. // Set the point up to Y-axis. // This is our threshold, you can change it. What is a different? // Set the pixel is white. // Otherwise, set the pixel is black. // Assign a processed image. // Release the TBitmap object. // The string is full path. // Set the path is in the path of the execute file. // Set up initial directory. // Execute the OpenPictureDialog object. // Set a file name into str variable. // Loading a picture from the file. // Set the format of window, as per the PixelFormat types. // the Window based on its window decorations. // System chooses a format that supports translucency (many alpha bits). // Enable extended window features. // Flag for the "no title" feature, turning off the title at the top of the screen. // Set the flags of the window, as per the WindowManager.LayoutParams flags. // Window flag: Hide all screen decorations (e.g. status bar). // hidden when an app window with this flag set is on the top layer. // Set the activity content from a layout resource. // The resource will be inflated, adding all top-level views to the activity. // Change the desired orientation of this activity. // (possibly causing the activity to be restarted). // Otherwise, this will be used the next time the activity is visible. // Constant corresponding to portrait in the android.R.attr.screenOrientation attribute. // Abstract interface to someone holding a display surface. // edit the pixels in the surface, and monitor changes to the surface. // This interface is typically available through the SurfaceView class. // To establish Camera.takePicture callback function. // We use the BitmapFactory to decode become raw data to bitmap format. // Gray of image processing. // To get value of the red channel. // To get value of the green channel. // To get value of the blue channel. // Compute value of gray. // Set pixel to white. // Set pixel to black. // Set processed image to display. // Show the height of the image. // Restart camera to preview. // To disable auto focus of callback function. // When auto focus is done and then we will take a picture. // Into take a picture of callback function. // While a user press the take a picture button, when it starts auto focus. // To make sure the camera is open. // To execute the auto focus. // Get parameters of the camera. // Set size of the picture. // Set size of preview. // Set parameters of the camera. // If the camera is initially successful and then to open camera. // Stamp the image on the left of the canvas. // The width index is output position. // Run through the image. // *4 for 4 ints per pixel. // This is an input index. // This is an output index. // Get the pixel of the red channel. // Get the pixel of the green channel. // Get the pixel of the blue channel. // Get the pixel of the alpha channel. // This is our threshold. You can change it. // Set the pixel is black.
} // The closing "The width of the image".
} // The closing "The height of the image". // Put pixel data on canvas. // Establish an image object. // Code assumes this image is 512x512. There is a notice, if your bit depth of bitmap file is not 24 bits, you should change your bitmap files to adapt this program, or you could rewrite this source code to fit your bitmap format. You should also uncheck Build with runtime packages under: Project-> Options-> Packages-> Runtime Packages-> Link with runtime packages Make sure to uncheck the three items ("Link with runtime packages", "Link with Dynamic RTL" and "Link with Delphi Runtime Library") under the build configuration you are using ('release' / 'debug'). This is another fast way to acquire RGB values method. It is suitable for huge image. 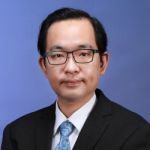 Technical Writer De Gruyter Open Ltd.
Dr. Lai Tai-Yu received the Ph.D. from National Taipei University of Technology in 2016. He is the co-author of 1 journal, 21 conference papers, 6 books, 9 articles in the codeproject.com, and 2 patent inventions. He was awarded the Certificate of Chinese Teaching as Second Language(TCSOL) in 2016. His research interests lie in the areas of digital image processing. He has been a senior software consultant. Dr Taiyu Lai. Stopień doktora, uzyskał w 2016 roku i objął stanowisko adiunkta na Wydziale. Ponadto jest autorem i współautorem: 1 publikacji artykułu w czasopiśmie naukowym, 21 artykułów opublikowanych w materiałach konferencyjnych, 6 książek, 9 eseje w monografiach codeproject.com, i posiada dwa patenty. Tytuł nauczyciel uzyskał w 2016 r. certyfikat nauczania chińskiego jako drugiego języka(TCSOL). Zainteresowania naukowe: przetwarzania obrazów. Jest starszym konsultantem ds. rozwoju oprogramowania. I just saw this post Image Binarization Using 10 Program Languages. I know this is an old post but have a question if any one can help. wouldnt it be fast to memset the memory to zero and only set if a different value is the result? Downloaded ok. Thanks a lot. Sorry, Sir. I has been update. But the article is pending. Thank you for your advice. I hope you have a nice day. Great Effort! Writing the same thing in ten languages is not a minor thing! About the code, im only proficient with C, and seems to be OK. Great Work! Thank you. Sir. I am happy. Thank you for your advice.
''' The .net Bitmap object keeps a reference to HBITMAP handle, Not to the underlying bitmap itself.
''' lock handle In place-Get/Set value/unlock handle. It Is the most inefficient way To manipulate bitmaps In .NET.
''' The author should read about <see cref="Bitmap.LockBits"/> first.
' Set every third value to 255. A 24bpp bitmap will binarization.
' If the gray value more than threshold and then set a white pixel. However, the c# code is too slow. In my article fast image processing in c#, you can see how accessing the raw memory of bitmap data via pointers can improve the speed of GetPixel/SetPixel code by 80%. Thanks your advice. I vote your article 5. What about the C# code? This C# implementation is damnly slow. The .net Bitmap object keeps a reference to HBITMAP handle, not to the underlying bitmap itself. So, single pixel access call to Bitmap.Set/GetPixel or even retrieve Width/Height properties does something like: lock handle in place-get/set value/unlock handle. It is the most inefficient way to manipulate bitmaps in .NET. The author should read about Bitmap.LockBits first. Thanks your advice. I will update this article.